Colored soldiers guard Hitler's "Her envolk." An answer to Nazi philosophy of master race. 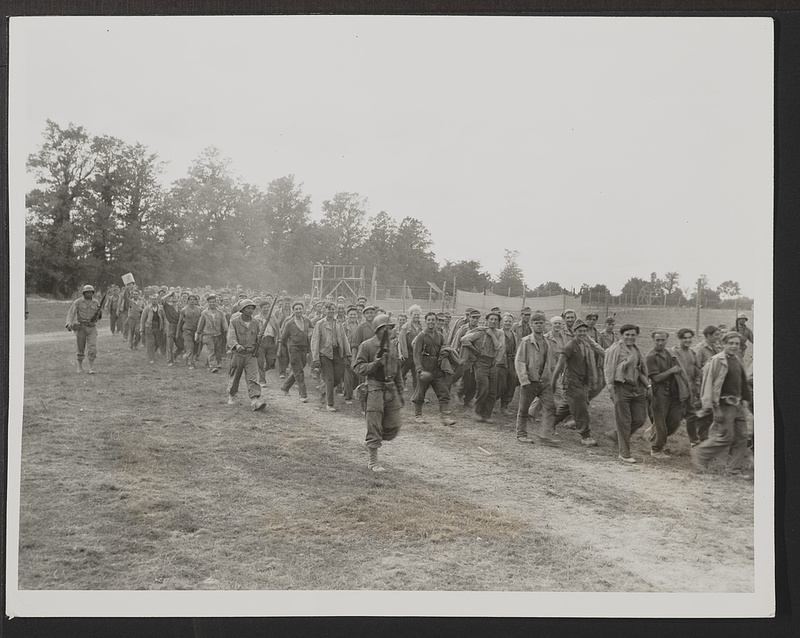 Members of a military police battalion guard prisoners of war at a camp somewhere in France. “Prisoners of war,” USU Digital Exhibits, accessed April 20, 2019, http://exhibits.lib.usu.edu/items/show/18724.